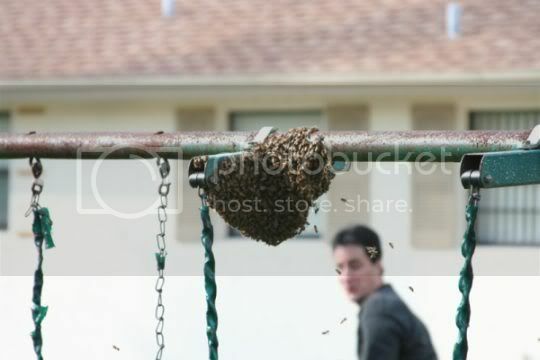 This guy tells a great story about what happened when he was visiting family in Florida and found a swarm of honey bees on the family swing set. It had me rolling! If you share my sense of humor, then it’s worth the read. Also the pictures that were taken were of the ordeal are pretty good. Check it out here. I think why I find this so hillarious is that some of the things he talks about is what I would have done as a kid. And I also have nothing against taking some bees out. Can’t stand bees. As much as I like honey, I can live without it if it meant no bees. I’m also not too keen on shark bites. So let’s get rid of them too.